Delabole Slate powders are produced in a wide range of sieve and sub-sieve fineness grades. 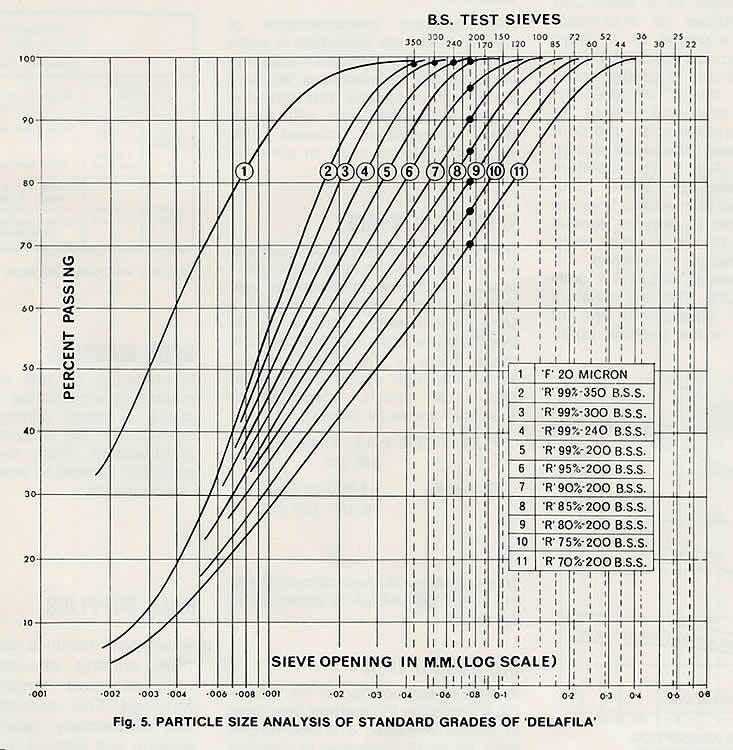 The standard gradings and their typical particle size analyses are listed in Table 2. Fig. 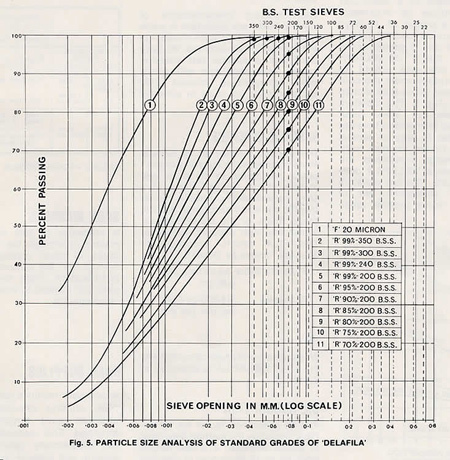 3 illustrates the typical particle size analyses graphically. Photomicrographs of the coarsest and finest gradings are shown on the technical page in Figures 1 and 2 respectively, and to give an idea of scale the insets show a human hair to the same scale. These illustrations clearly show the wide fineness range of standard gradings which are maintained within narrow commercial limits. 99-350, 99-300, 99-240, 99-200, 90-200, 85-200, 80-200, 75-200, 70-200. 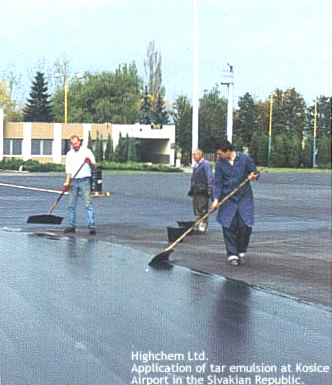 A Powder & Granules brochure is available which includes more detailed information. Please select "BROCHURES" from the menu at the top or click here.